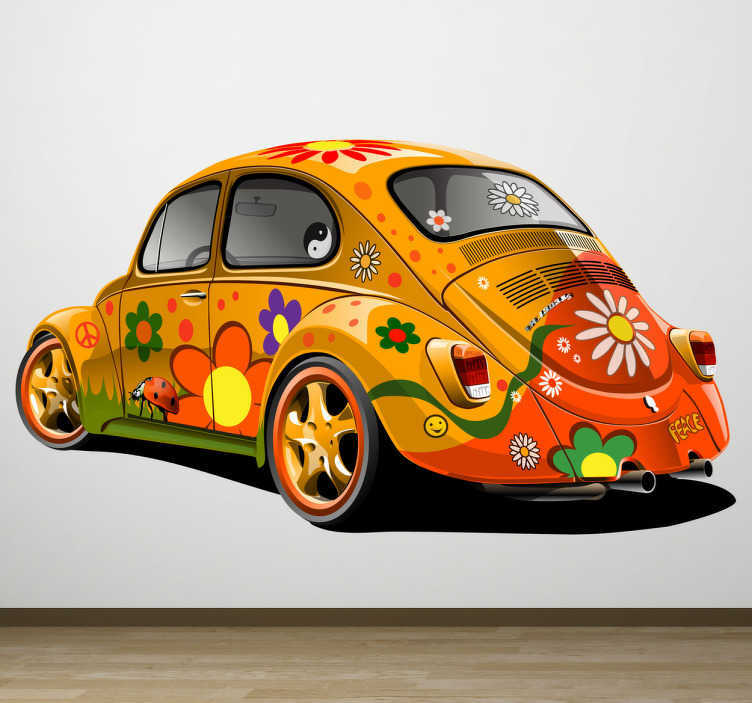 This wall sticker is a fun and colourful design of a world famous model car, the Beetle. The bright colours and cheerful shapes gives this sticker a hippie-like atmosphere. Ideal for wall decoration in your home. Bounce back to the 60s and give your home a vintage look with such a classic car! It can be placed anywhere at home just choose your size. Don´t forget that it is easy to apply and remove made with anti-bubble vinyl.